Clarksville, TN – The Clarksville Police Department reports that wanted robbery suspect Michael Lorenzo Minor has turned himself in and has been booked into Montgomery County Jail. 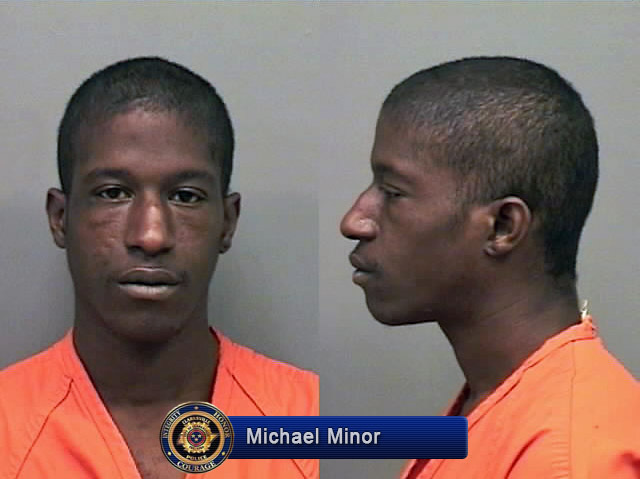 Minor was wanted in connection to the armed robbery of Yes Beauty Supply located on Providence Boulevard. On November 18th, 2015 a black male with short dreads and a green rain coat entered Yes Beauty Supply then drew a black semi-automatic handgun on the two store clerks and demanded money. Several Clarksville citizens called in and identified Minor, based on the photos distributed to the media. Clarksville, TN – Detective Rodney Lifsey from the Clarksville Police Department is searching for a runaway juvenile. The runaway juvenile is 16-year-old Christian Stehle from Clarksville. Christian ran away from his home on the 700 block of Cloud Drive on November 24th, 2015 at approximately 8:00am. If anyone has any information in regards to Christian’s whereabouts, please call Detective Lifsey at 931.648.0656 Ext 5298 or the CrimeStoppers TIPS Hotline at 931.645.TIPS (8477). Clarksville, TN – On November 18th, 2015 a black male with short dreads and a green rain coat entered Yes Beauty Supply on Providence Boulevard then drew a black semi-automatic handgun on the two store clerks and demanded money. Clarksville Police were able to provide photos of the suspect. Due to a lineup and an overwhelming response by the public naming the suspect, he has been positively identified. 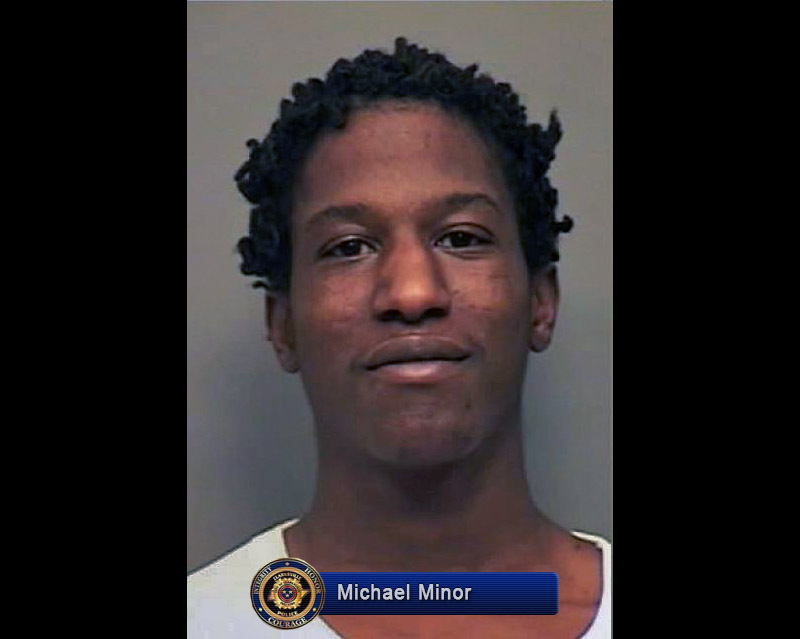 Michael Lorenzo Minor is wanted in connection to the Yes Beauty Supply robbery. If anyone knows of his whereabouts, please call Detective Brittany Feinberg or Detective Duke at 931.648.0656 Ext 5156/ 5438 or the CrimeStoppers TIPS Hotline at 931.645.TIPS (8477). 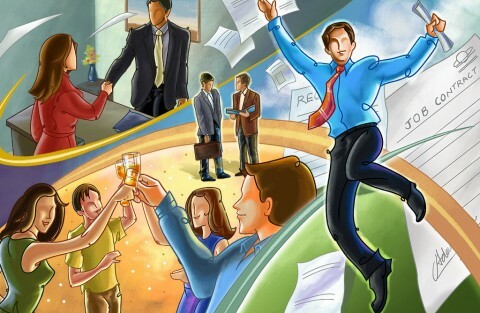 Nashville, TN – The Tennessee American Job Center-Clarksville is announcing the Multi-Employer Hiring Event. The event will be held on Thursday, December 3rd, at 9:00am (CST) at the Tennessee American Job Center-Clarksville located at 523 Madison Street, Suite B. A variety of job opportunities with all levels of skill requirements will be available at this event. Clarksville’s Tennessee American Job Center Multi-Employer Hiring Event to be held Thursday, December 3rd, 2015. 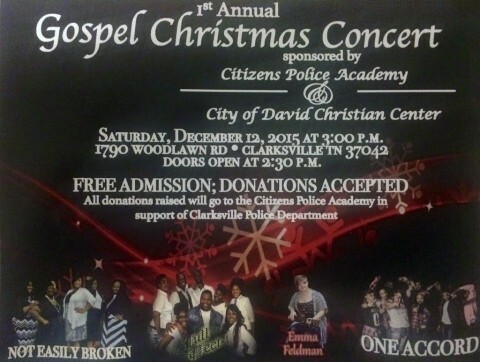 Clarksville, TN – On Saturday, December 12th, 2015 at 3:00pm, the 1st Annual Gospel Christmas Concert, sponsored by the Citizens Police Academy, will be held at the City of David Christian Center located at 1790 Woodlawn Road in Clarksville. Doors open at 2:30pm. Admission is free and donations are accepted. All donations raised will go to the Citizens Police Academy in support of the Clarksville Police Department. 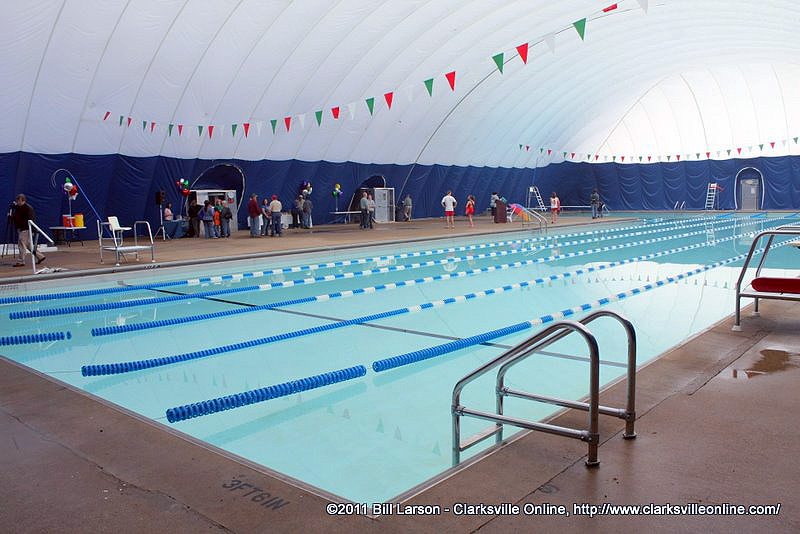 Clarksville, TN – This year your child can swim with Santa at the Indoor Aquatic Center! Santa will be visiting the pool, located at 166 Cunningham Lane, on Saturday, December 12th from 2:00 until 4:00pm. Families are invited to enjoy refreshments, crafts, and swimming. Parents, bring your cameras to capture your child’s special moment with Santa! The Indoor Aquatic Center at New Providence. 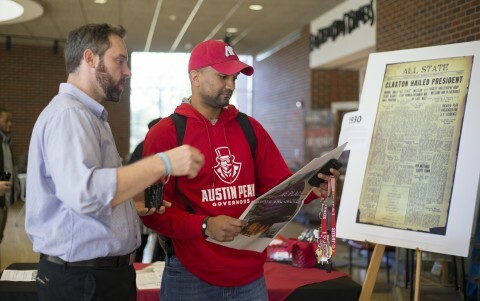 Clarksville, TN – On November 26th, 1930, a small, four-page newspaper appeared on the Austin Peay Normal School campus. The All State, as it was known, arrived that fall to present all of the school’s news and “gossip,” and by the spring of 1931, most students eagerly awaited its weekly publication. 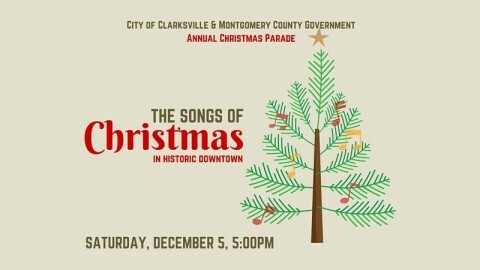 Clarksville, TN – Sign up and become a part of a Clarksville tradition by participating in this year’s annual Christmas parade, hosted by the City of Clarksville and Montgomery County Government. This night-time, lighted Christmas parade, is scheduled for Saturday, December 5th beginning at 5:00pm in Downtown Clarksville. 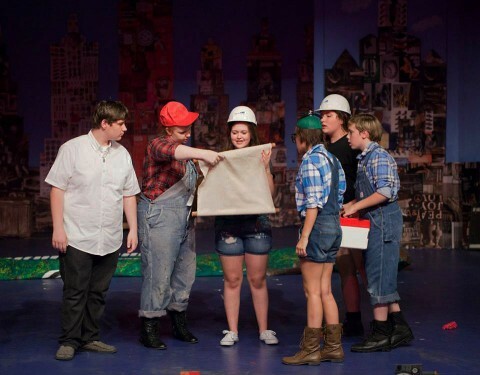 Clarksville, TN – Shakespeare once wrote, “Good wine is a good familiar creature, if it be well used.” On Sunday, December 6th, at noon, the drink of the gods will be well used when paired with delicious cuisine and stellar theatre at Beachaven Winery’s “Sparkling Brunch” at the Roxy Regional Theatre. This “Sparkling Brunch” with a side of Shakespeare will offer savory Beachaven wines alongside quiche, Belgian waffle shooters, chicken biscuit kabobs, bacon-wrapped asparagus, and banana & mandarin smoothies by Nicoletta’s Catering.